Never mind the quality, check the influence! LA-based professional photographer, Yvette Roman, recently told a story about how Canon USA booked her for a ‘huge job’, but then dropped her minutes later, apparently at the behest of the ‘HR department’, because she didn’t have 50,000 followers on Instagram. 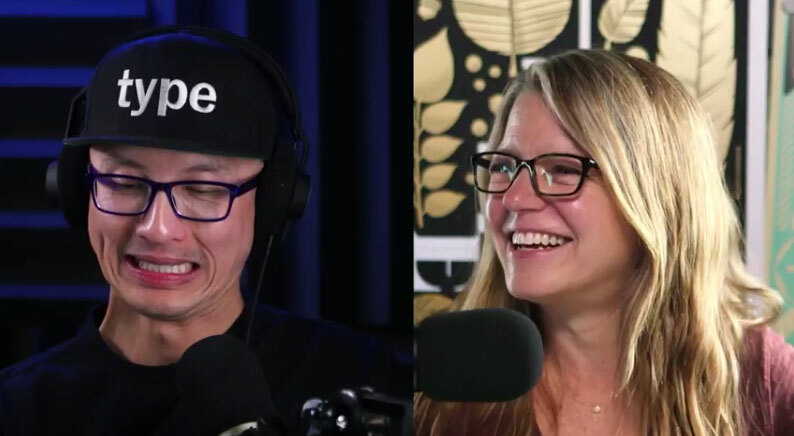 Designer and social media ‘guru’, Chris Do (left), reacting to Yvette Roman’s story about Canon awkwardly telling her that she wasn’t suited for s major job due to her lack of social media prominence. Despite a successful career photographing big name celebrity weddings, like fashion designer Nicole Richie, Yvette Roman has been a failure at playing the Instagram game. Roman says Instagram feels like a popularity contest and she less than 1000 followers, which caused her to miss out on the biggest job of her life with Canon USA. She estimates the four-day commercial shoot would have earned her north of US$50,000. Many established professional photographers haven’t bothered with social media, while people like Roman use it casually with disinterest. But others, often with minimal photographic skills, have struck gold by endorsing products to a ‘captivated audience’ through various social media platforms, with Instagram being the main stage. They are then called influencers. Roman told her Canon story in a 48-minute video hosted by online tech educational channel, The Futur, alongside its founder and all-round hip designer dude, Chris Do. The video’s aim is to explore how social media has influenced professional photography, and whether building an online following matters. Apparently it does. Big time, according to the Do-ster. Roman said the art director blamed Canon’s HR department for making the choice. The director said it ‘wasn’t a creative decision’. The art director who hired and dumped Roman may not have initially realised they were after a social media influencer, rather than stand-alone photographic skills. Canon, like many businesses, has increased its influencer-based marketing. Last year 20 influencers were hired to promote the EOS R mirrorless full-frame gear. The company has a total of 40 influencers on its payroll in the US. ‘We want to bridge the gap between the professional and the everyday person, and reach out to younger generations,’ Doris Tsai, senior marketing director for Canon USA, told DigiDay late last year. Roman says she has now rethought the importance of Instagram and Do, an entrepreneur who has over 50,000 organic followers on ‘Instagrizzle’, kindly lectured her about not selling herself sufficiently. Do’s primary criticism of Roman is that she isn’t posting enough pictures of herself to social media. That’s right. She needs to build her brand and tell her story, connect with the audience and grow it organically. Don’t buy likes. And then, when the opportunity arises, sell that brand as a package – the content, the media, the audience. Do seems to believe all or most professional photographers should move toward becoming influencers, as brands are investing more marketing dollars in this segment and less in traditional advertising channels. Reaching 10,000 followers is the first stepping stone to becoming an influencer. What do you think? Do you now need social media credibility to land clients? Below is the video. But beware! It’s not hugely insightful and practical advice is marginal, Chris Do is a little overbearing, and the message is that photographers are missing opportunities by not becoming influencers.